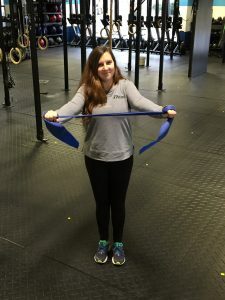 In a new blog series, intended to improve our overall health and well-being, Ali and I have decided to dive in and try various exercises, foods, stretches, and supplements for a week at a time and see what differences we can notice. We’re going to blog our progress to hold ourselves accountable and try to impart some helpful information to you along the way. The idea is to start these healthy habits a week at a time and keep the most effective ones going to lead to a better overall lifestyle. I’m kicking our first blog off by trying to tackle a long-standing issue of mine; bad posture. I have had slumped shoulders my entire life and it’s only getting worse as I get older. It’s a common trait among my family and my least favorite part of my genetics. After living in Japan, one of my worst nightmares is becoming a typical “Baa-Chan” in my old age. “Baa-Chan” is an endearing term for an old women or grandmother in Japan. 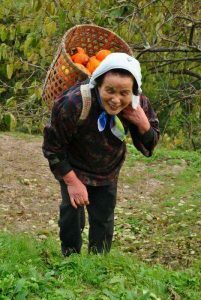 Typically, in the countryside you will see many older women with bent backs from a lifetime of hard work. Seeing those women scared me straight: literally. I swore to myself I wouldn’t end up hunched over like that. Since then I’ve made a conscious effort to stand straighter and work out regularly. Working for a chiropractor has helped, but I’ve never specifically worked on strengthening my upper back muscles above everything else. called a band pull apart. It’s a common one we show patients with similar issues like mine. 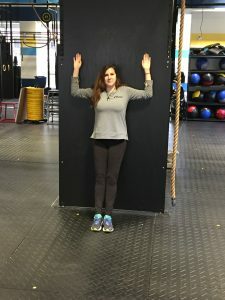 I used the Thera-Band we have at work to do this and actually did it at the desk whenever I found my back getting sore or stiff throughout the day. Watch the video I’ve put in below to see how to do it. 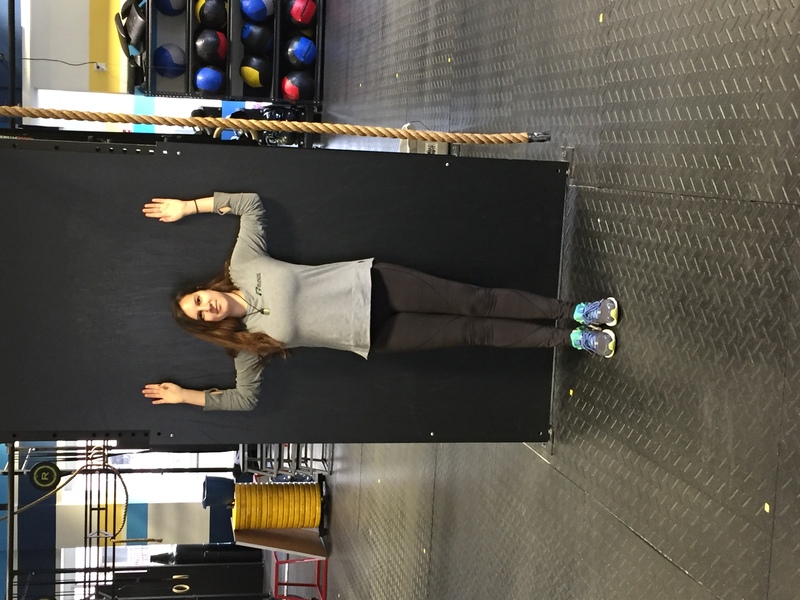 The second exercise was called wall angels. These killed me! 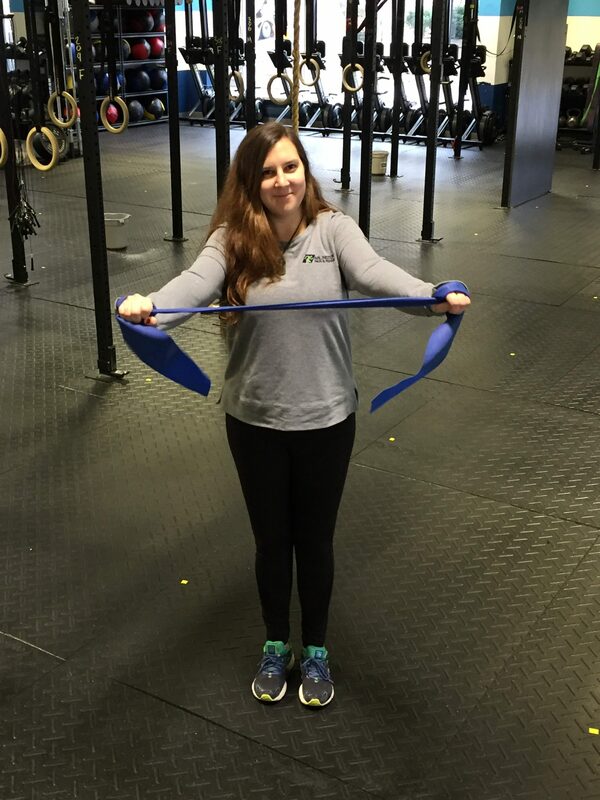 The more hunched over your posture is the more difficult the exercise is. It is also one of the most recommended exercises for correcting posture. The tricky part about wall angels was making sure my spine stayed completely flat against the wall. I tried to do each exercise for at least ten minutes a day. After day one I could already notice one significant difference. I was so sore! Many of you will know that pain of working out a muscle you’ve never really concentrated on before and that was exactly what I felt. It made me realize that I had not been paying the proper attention to my back that it needed. Day 2 and 3 brought on even more pain to the point where I found it difficult to sleep in certain positions. But, on day 4 I did start to notice some very slight changes. I was sitting at my desk absorbed in what I was doing but when I stopped for a moment I noticed a huge difference. I wasn’t slouching. I’m not going to lie and say my posture was suddenly perfect, but it was certainly a significant change from my normal slump. It encouraged me on day 5,6, and 7 to me make a conscious effort to continue the exercises and to sit properly. 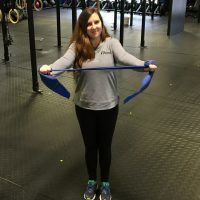 I’m still nowhere near my ideal back strength at the moment, but seeing what a change two simple exercises could make to a problem I’ve struggled with my whole life has made me make a commitment. I’m going to continue doing these exercises and others on a regular basis. It was encouraging for me to see that this was something I could change, despite having the problem my whole life. If any of you see me in office slouching, feel free to give me a reminder to sit up straight! I’m dedicated to making this improvement and I hope my story has inspired some of you to try as well. Do these two exercises and see what you feel. If you need more we’ll be happy to teach you!